Born on March 27th, 1963, in the city of Knoxville, Tennessee, Quentin Tarantino's upbringing was relatively straightforward and simple. Born to a musician father and a strong, independent mother, he was quickly relocated to California after his parents separated early in his life. 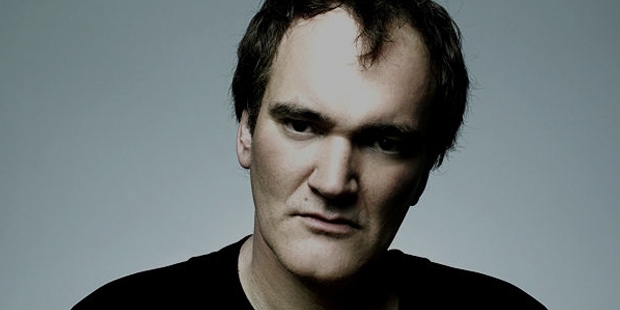 From the age of two onwards, Quentin spent his early years in the suburbs of Los Angeles. Fueled by a love of cinema, he dropped out of high school at age fifteen to pursue an acting career, taking classes during the daytime and watching classic movies by night. Struggling to survive, his first real job – as an employee at the Video Archives rental store near his home – resulted in one of the most prolific film consumption periods of any person working in Hollywood today. By his own estimate, Tarantino watched thousands of films during his career at the Video Archives, building his immense knowledge of cinema and forming his creative yet homage-filled style at the same time. From western flicks and historical movies to kung fu, Tarantino's knowledge of cinema became an important aspect of his style, influencing stories and designs in his future creations. After meeting his future collaborator Lawrence Bender at a party, Tarantino started writing his first screenplay. The mega-violent and street-smart Reservoir Dogs was an immediate success, bringing in over ten times its modest budget. The film was financed by actor Harvey Keitel, who would go on to become one of Tarantino's most valued recurring cast members. Despite the critical acclaim that Reservoir Dogs received, Tarantino wanted more, and set out to make a hit movie that would define him as a director. Two years later, his second feature film, Pulp Fiction, was released to universal acclaim. The film was a massive financial success, and cemented Tarantino's position as a 'new Hollywood' filmmaker that combined style with meaningful story. Other hits followed, although none on the scale of Pulp Fiction. A collaboration with cult favorite director Robert Rodriguez resulted in From Dusk Till Dawn, a bizarre vampire movie that wasn't a hit amongst critics. Tarantino received critical acclaim once again for his first non-original script, the hit blaxploitation homage Jackie Brown, which reignited the career of former star Pam Grier. From underdog to on-top-of-the-world, Tarantino spent the more recent years of his career on the film projects that he was most interested in. He created a two-part series based on the character of 'The Bride', a revenge-seeking bride he invented with Uma Thurman while directing Pulp Fiction.He later created what might be the world's best revenge film, the hilarious and somewhat disturbing Inglourious Basterds, a bizarre take on World War II. Tarantino has also devoted his time to helping international directors gain exposure in the United States, using his name and reputation to release a range of independent releases in major cinema chains. With a career that's produced both critical acclaim and commercial success, Quentin Tarantino is a rare ambassador of both artistic integrity and bankable skills in the film industry. An ambitious self-educator, his success isn't the result of advanced training or an extensive education, but a desire and motivation to succeed that pushed him past his peers.